With CounselingWise, I managed digital marketing projects and built numerous websites for therapists, counselors, and coaches on SquareSpace and WordPress. I managed projects large and small for roughly 30 clients at a time, and a total of roughly 50 clients. This includes holding meetings with clients, coordinating the design, writing, and development teams, and doing hands-on web development, creative strategy, SEO implementation, technical problem solving/troubleshooting, and site design. This is a total overhaul of a client site from scratch. I managed the writing of more than 20 specialty pages. Also created and implemented design, & collaborated with client to update strategy. Spearheaded redesign of home page and re-working of the menu. Managed writing team to rewrite 7 pages, designed home page. This is the intermediate phase; the next phase is a total redesign on a new template. Client came to me with this site custom-coded in HTML; I led the implementation of a blog, redesign of menus for increased accessibility, and improvement of SEO. Site is currently ranking on page 1 for several terms. 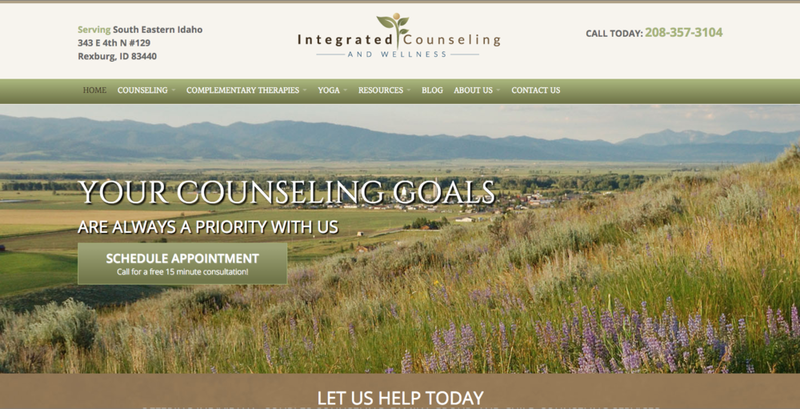 Working content manager for Kleintherapy.com, guiding client in SEO strategy and completion of development project. Client wanted to update his brand and make it more modern, as well as to emphasize his online counseling option. Total site rebuild, but keeping design of previous site. Parallax banners, color overlay, overall branding identity update. 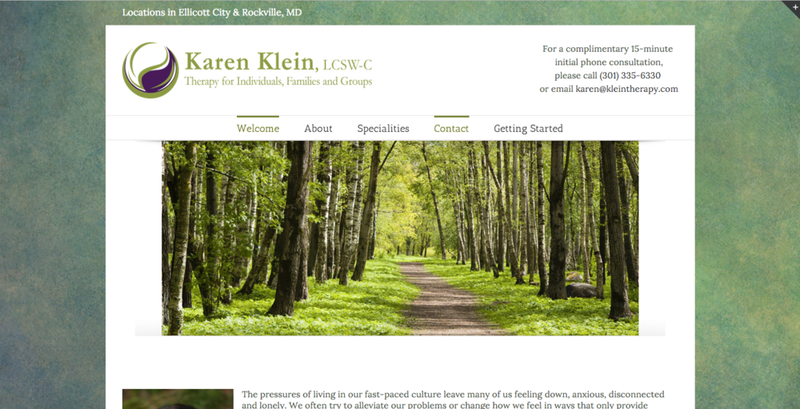 Site built for client who was restarting her practice. Implemented approachable, academic design to fit with overall brand image. Client provided content on Weebly site, but wanted modern design. I designed parallax-scrolling site including modern index home page and proofreading throughout the copy. Reorganized content to make more clear; implemented SEO and performed keyword research. Replaced existing site with more up-to-date look and easy blogging platform. Managed client writing pages, custom development for sidebars, and logo design. Hands-on implementation of SEO and site design. Switched client to Google Apps email and integrated with site. Site built for client with no previous site. Managed our writing team to create all specialty pages. Designed site and implemented SEO. Site built for client without previous site. Client wanted simple, clean, and approachable design. Designed site, implemented SEO, managed writing.